Let me just say I am so glad you've joined me! 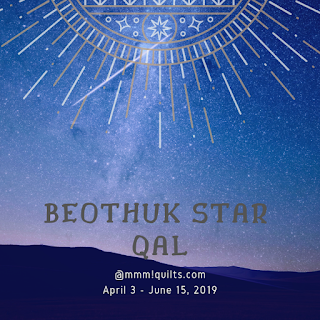 Whether this is the first time or the third time quilting along with one of my designs, I am truly grateful for your presence, for taking the time out of your already-busy quilting life, not to mention personal life, to make something pretty! 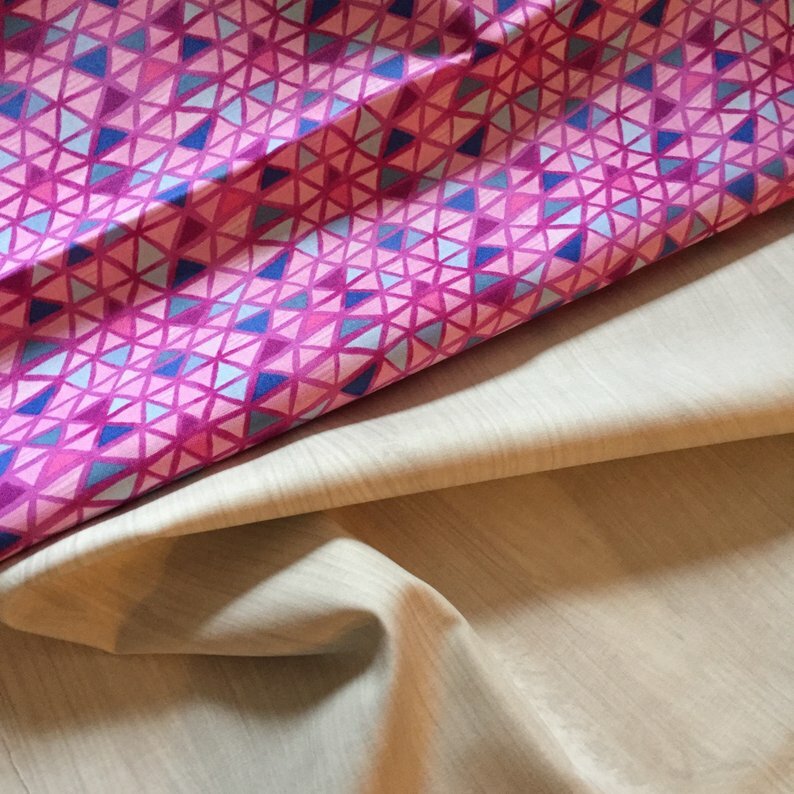 This week you will be getting the fabric requirements. 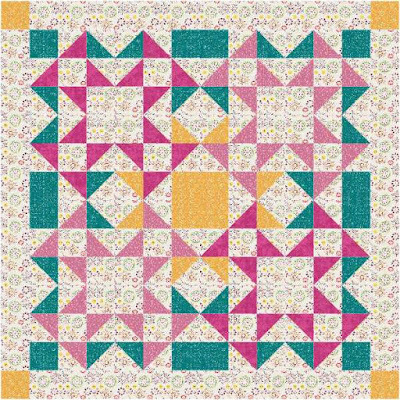 There are three ways you can make this quilt, and I guess a fourth: going off entirely in your own direction! 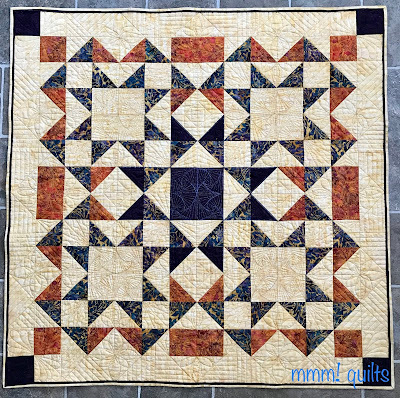 The quilt is 42" square. Important: whatever fabric you choose for where my eggplant fabric is, the centre star that sort of 'appears' be sure it has good contrast with the other fabrics. It can be subtle as in my original, or more of a pop, as in Option 3. There are four fabrics: the eggplant (centre 'pop' star and cornerstones), the orange, the navy mottled (four Evening Star blocks) and the background. 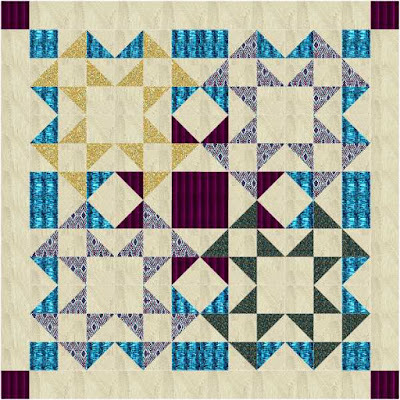 Use my November Blogger Bundle, no additional fabric except background. Use my November Blogger Bundle and purchase the kit extension. It's not too late to order this or the new kit; Bernie ships fast! This gives you four different stars and has enough sand for background. You're good to go! New kit curated by me. You're good to go if you purchased this one! Here is a link to a colouring page you can print out. Just in: I have another sponsor! 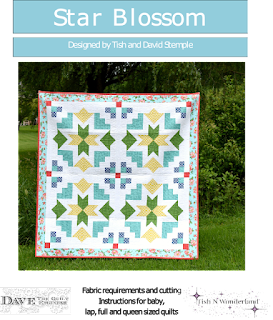 Tish of The Madd Quilter is offering a PDF copy of her pattern, Star Blossom! See you on the 17th for the cutting step! Think the original will be for me, but instead of orange, either green or purple shades?Should have enough batik here to lay them out and see if the colours will work for this. Time to raid my stash for some fabric. I'm in! I going Tula all the way. Happy that I got more of the background when I was at the Red Deer quilt show. Let the fun begin. I'm looking forward to getting started! 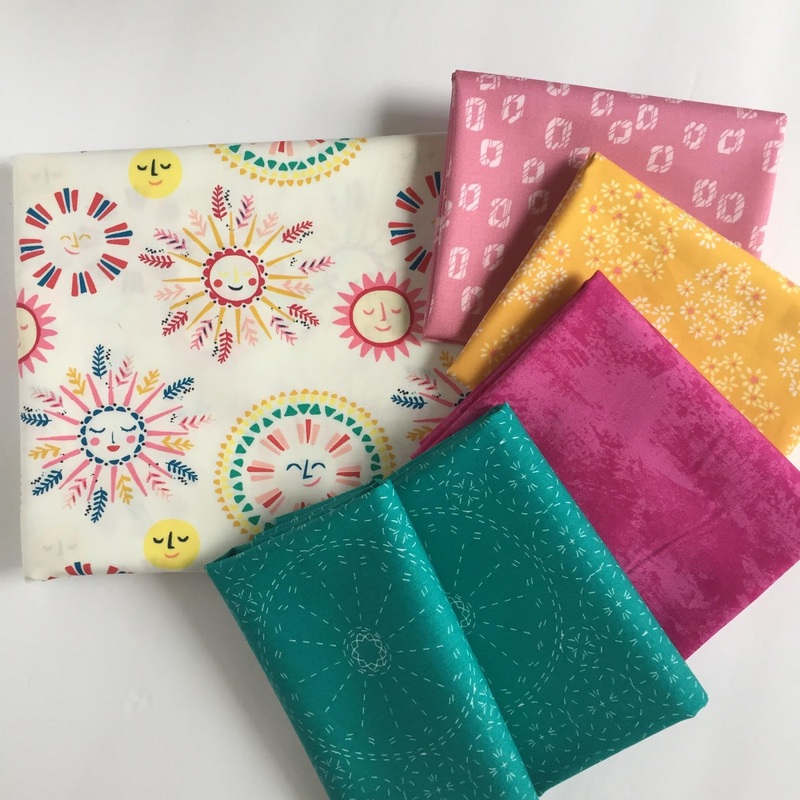 I don't have your blogger bundle, but have a different one I'm planning to use. I purchased background (Kona Butter, yum!) and then need 5 fat quarters for the stars, yes? Thanks, Sandra! Just can’t decide....but tomorrow I am off to candy land, so maybe something will strike - MQX is quite the show. 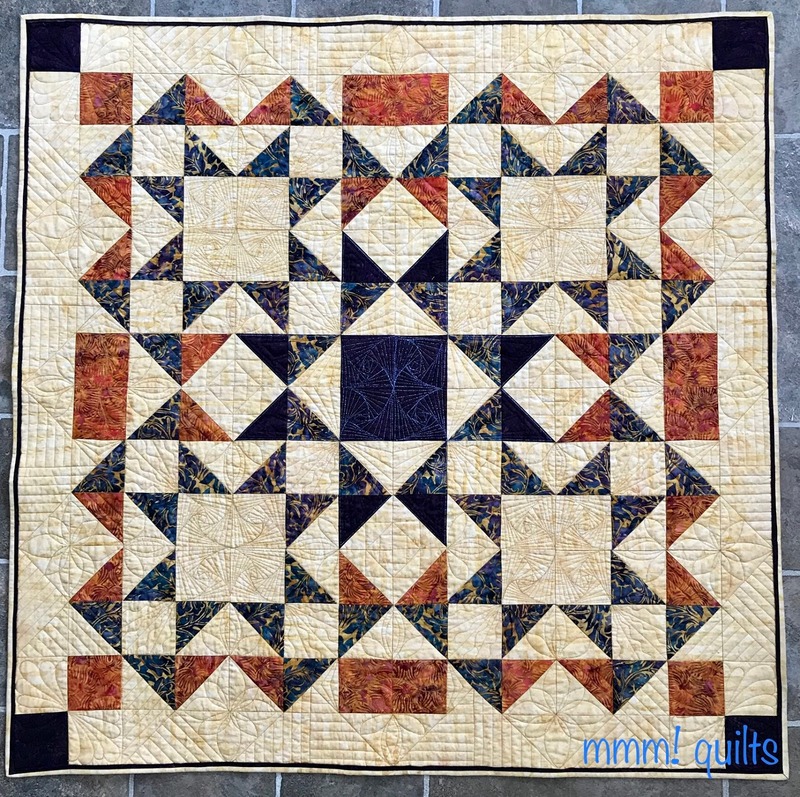 The eye candy in the quilting is just beyond words. Also, think I may narrow down a quilting machine....too exciting.